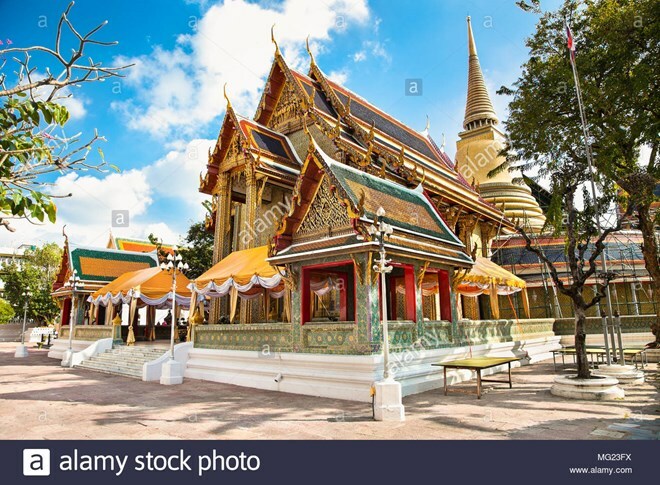 Bangkok (NNT/VNA) – Bangkok authorities are putting the final touches to improvements to the landscaping in Bangkok’s Phra Nakhon district, and all the landscape improvements for His Majesty the King’s coronation ceremonies will be completed by the end of this month. In Phra Nakhon district, officials have repainted walls surrounding Ratchabophit temple, while the roads with uneven surfaces have been repaired. The officials have also repaired residential houses in the area and beautified their doors and windows. Many government office fences have already been decorated with yellow and white fabric together with the Thai national flag and the royal emblem. On Ratchadamnoen Klang Road, the landscaping work is almost 100 percent complete, as the officials have decorated the Democracy Monument, repainted road markings and trimmed the roadside trees.